Are you fed up of earning and yet not having money to buy the things you want? Is your budget simply not working out? Do you want more control over your funds? 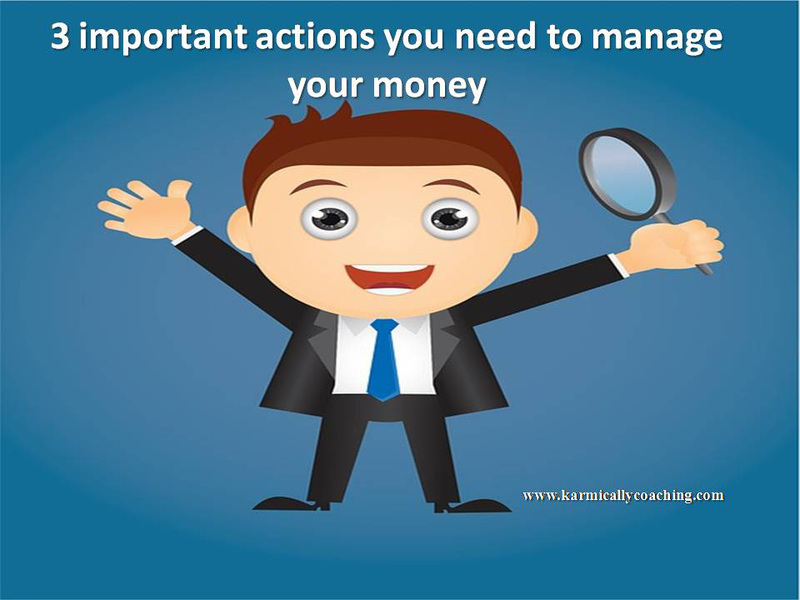 If yes, then you have to listen to the replay of the April 2016 teleclass 3 important actions you need to manage your money where I shared the 3 things you need to be doing first before you even think of preparing a budget or hiring a finance manager to manage your money. The class is part of The Karmic Ally Coaching Experience education initiative and this is a free teleclass replay. So sign up, listen in, take notes and let’s get your money mindset on the right track! The content that I am going to be sharing is usually accessible only by my clients. In order for me to make sure that I got your email address right and also that I have your permission to send you details of the teleclass recording, I request that you confirm your email when you receive my confirmation request and also whitelist my email vatsala(at)karmicallycoaching(dot)com. You can change your mind at any time by clicking the unsubscribe link in the footer of any email you receive from us, or by contacting us at vatsala@karmicallycoaching.com. We will treat your information with respect. For more information about our privacy practices please visit our website. By clicking below, you agree that we may process your information in accordance with these terms.